Make your stay in Porto a memorable journey of gastronomic discovery in a 5-star establishment with a starred chef restaurant. Whether you are in this charming city for business or tourism, you will enjoy tasting delicious dishes prepared from local produce by the chef Julien Montbabut of Maison Albar Hotels Le Monumental Palace and its team. Everything has been designed to allow you to enjoy yourself in a relaxing setting that perfectly combines comfort and elegance. Enjoy an exceptional setting that immerses you in an atmosphere that swings between art deco and Art Nouveau. Being in the idyllic setting of the Monumental's restaurant run by starred chef Julien Montbabut is a real pleasure for you, as a distinguished traveller. In this setting with its refined decoration, no detail has been neglected so that you can delight your taste buds thanks to the refined cuisine of the starred French chef Julien Montbabut and his team. Between the cocktail bar, the gourmet restaurant and the brasserie, you will be spoilt for choice as guests of this luxury hotel. The Maison Albar Hotels Le Monumental Palace is not only an opportunity to discover Portuguese cuisine in its various forms. It is a place that offers you a warm welcome and allows you to spend unforgettable moments in a comfortable and pleasant setting. For your stay in a place steeped in history, you can choose one of its 63 rooms and 13 suites. These will seduce you not only by their neat decoration but also by their comfort. The rooms in this luxury hotel in the heart of Porto have the necessary facilities to make you feel at home. On site, various spaces are arranged to allow you to relax and have fun in complete peace of mind. The Maison Albar Hotels Le Monumental Palace has a swimming pool, a spa and a lounge & library. Thanks to its privileged location, this 5-star hotel is the ideal starting point to discover the main attractions of the city of Porto. 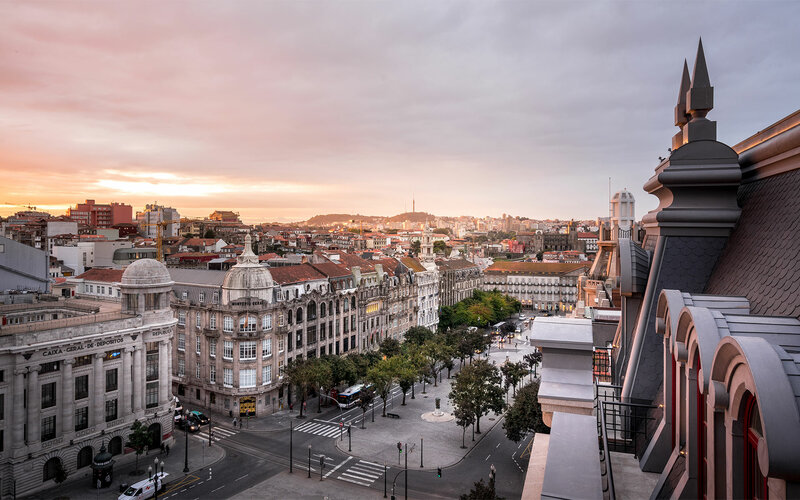 From the Maison Albar Hotels Le Monumental Palace, you can easily reach the Dom Luis Bridge, the Bolhao Market, the Lello bookshop or the imposing Baroque church of the Clerigos.